The mere existence of this album is something of an unlikely occurrence. Tone Masseve was something of a prodigy on guitar, working as a session musician while still in his teens, and in the 90s began work on his first solo album, which would contain rock interpretations of Classical pieces performed on multiple overdubbed guitars. Unfortunately, he died before the project could be completed, and it was only 20 years later that it was finished, with other musicians adding the final touches to Amp l'Étude. Jethro Tull drummer Doane Perry contributes to six of the 12 tracks, and percussionist Garry Kvistad is also on board. A variety of vocalists fill in as well, including opera singer Maria Todaro and the Prana ensemble. While the tunes are all familiar to virtually everyone who’s heard any European Classical music (J.S. Bach, Beethoven, Saint-Saëns, Franz Schubert, Chopin, Debussy, and Orff), Masseve tackles them imaginatively, and gives them amusing titles: Schubert’s “Ave Maria” becomes “Maria (She’s So) Ave” along with an arrangement that hints at “She's So Heavy”; Chopin’s “Prelude #7” becomes “7# Edulerp” and incorporates numerous backwards parts; and so on. He also pays homage to Procol Harum’s famous borrowing of Bach’s “Air on the G String” by including bits of “A Whiter Shade of Pale” in his arrangement. In general, I’m not fond of the rock reinterpretation of Classical pieces just because it’s been done so often and rarely adds anything of value to the original pieces, but Masseve does a good job of it, with good choices throughout regarding tone colors, effects, and techniques to apply. 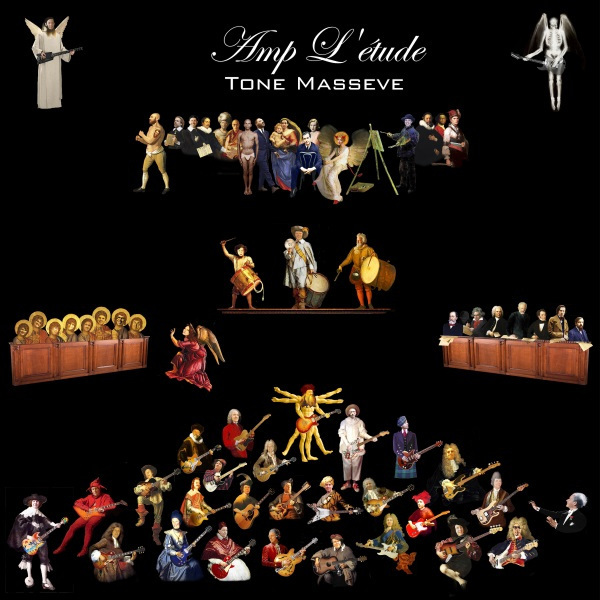 Tone Masseve may not be a well-known figure in guitar-hero circles, but Amp l'Étude shows that had he lived, he might well have joined the ranks of respected practitioners.